Christmas in Greece means it's kourabiedes time again, and the mellow aroma of melomakarona cookies will fill Greek kitchens around the globe. If you will be traveling to Greece at Christmas, it's good to remember that many offices, businesses, restaurants, and other amenities may be closed or keeping unusual hours during the holiday season. Turkey is a big part of Greek Christmas food customs, and it is common to find this bird on most Greek Christmas tables. In some areas, the holiday is preceded by a time of fasting. In Greece, the Christmas season is in full swing by December 6th, the Feast of St. Nicholas, when presents are exchanged, and lasts through January 6th, the Feast of Epiphany. In general, don't expect as many Christmas displays, lights, or other Western decorations, except of course in the windows of expatriates and the ever-increasing number of Greeks who have adopted Western customs. Greece has been an oasis of non-commercialism when it comes to Christmas, though some lament that this has changed. 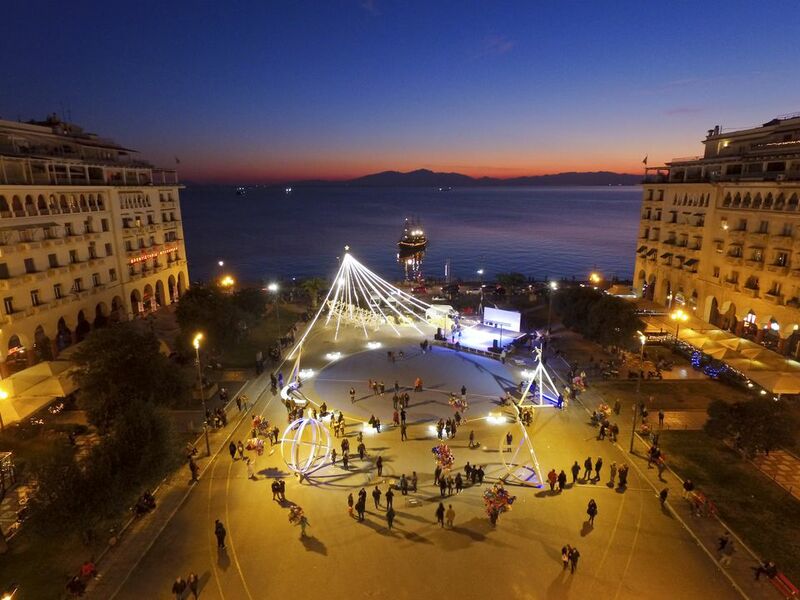 In recent years, the City of Athens has sponsored extensive Christmas displays and events in Syntagma Square and elsewhere in Athens. However, as the government crisis unfolded and lingered, celebrations have remained somewhat toned down as Greece attempts to recover from its financial crisis. Christmas in Greece is traditionally a solemn, religious holiday. Beautiful Christmas carols called kalandas have been handed down from Byzantine times and add to the reverent quality of the celebration. While other cultures have Christmas elves, the Greek equivalent is not so benign. Mischievous and even dangerous sprites called the Kallikantzaroi (or Callicantzari ), prey upon people only during the twelve days of Christmas, between Christmas itself and Epiphany on January 6th. Descriptions of them vary, and in one area they are believed to wear wooden or iron boots, the better to kick people, while other areas insist that they are hooved, not booted. Almost invariably male, other regions see in them the forms of wolves or even monkeys. Some households keep fires burning through the twelve days, to keep the spirits from entering by the chimney, which is an interesting inversion of the visit of Santa Claus in other countries. The "yule log" in this case initially was a massive log set on end in the chimney, burning or at least smoldering for the entire holiday period. Protective herbs such as hyssop, thistle, and asparagus were suspended by the fireplace, to keep the Kallikantzaroi away. Other households (perhaps less devout) were reduced to simple bribery and would put meat out for the Kallikantzaroi—a more substantial snack than the milk and cookies Westerners traditionally put out for Santa. On Epiphany, the ceremonial blessing of the waters by the local priest was believed to settle the nasty creatures until the next year. Some local festivals still include representations of these entities, which may be a survival from Dionysian festivals.